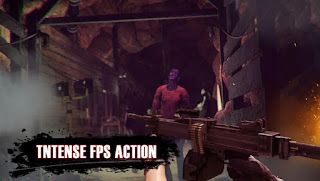 Zombie Dead-Call of Saver is a game against a set of zombies, we will become a shooter who will kill the zombies that are approaching. in the room we will be surrounded by zombies with different powers there are aggressive ones who are immune. there are 16 types of weapons including ak47, m4, m249 and others. the ranking of Zombie Dead-Call of Saver games is 4 so it's really amazing.